Choreographer-turned-director Prabhu Deva's has already started shooting for his next film Prabhakaran which has Vishal and Sameera Reddy in the lead roles. Interestingly, the film's title is also the name of late LTTE chief Velupillai Prabhakaran, which has a created a controversy in Kollywood. But Vishal has recently confirmed that his protagonist's name is Prabhakaran, so he felt this title would be apt for the film. However, sources confirm that the team has now renamed the film as Vedi, and it is likely to grace theatres for Diwali. 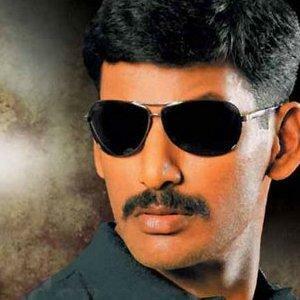 The film is produced under Vishal's home banner GK Film Corporation. There are reports that the film is a remake of the Telugu super hit Sowryam which had Gopichand and Anushka in the lead roles. Reportedly Sameera plays the role of a fun-loving college girl Paaro. Sameera will try her hand at comedy for the first time in this film.